Mongolia is a landlocked country that is bordered by China to the south and Russia to the north. As you travel this land you will see a transition from north to south that is quite interesting. The Mongolian language is one of many dialects and the words you will hear will vary, depending on your location. 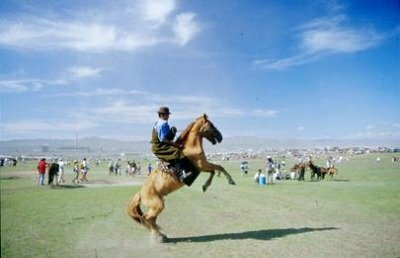 Eighty five percent of the population speaks Khalka Mongolian, but the dialects do vary. The amazing country of Mongolia awaits your visit. From the capital city of Ulan Bator, through the Gobi Desert and up north and east into the mountains, the scenery and local opportunities for adventure are unbelievable. You should allow time to visit all of the regions and you can therefore experience the culture and the hospitality of the many different areas. It is so much more than the tales of Genghis Kahn that you may have heard. Sit back and enjoy this video. The nomads of Mongolia will welcome you into their circles to share stories and meals. Often when you complete your comfortable camel ride, the camel man will take you to his home to get a taste of how these people live and survive some of the extremes in the country. The nomadic life can be difficult, but the attitude of the ones that you encounter during a visit will impress you greatly. They are basic, caring people who make their living traveling and practicing their trades. It could be camels, reindeer, the wonderful Mongolian horses or yaks. When you decide to souvenir shop in Mongolia, whether in Ulan Bator, the capital and largest city, or one of the other metropolitan areas, you will see a variety of the soft, sumptuous cashmere articles that this part of the world is famous for. Mongolia is one of the largest exporters of cashmere and it is offered for sale to the natives and tourists alike. We arrange visits to the cashmere factory outlets to view cashmere processing, garment designing and manufacturing and your shopping trip too. 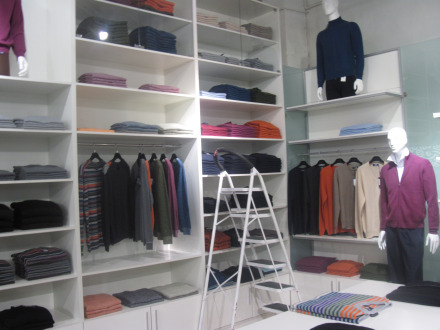 Please contact us here if you would like to visit or buying bulk cashmere. For history buffs there is a wealth of information to absorb. You can explore Paleolithic cave drawings and follow the history from Genghis Kahn in 1206 to the modern day parliamentary republic. The nomadic conflicts with China resulted in the construction of the Great Wall of China. Mongolia did not achieve its independence until 1911. The conflicts did not end there and at that time China declared Mongolia as part of China. Today the country is quite different and diverse. Although still a primarily nomadic land, the conflict has ended and productivity of the various regions continues to grow. It is the second largest landlocked country in the world. It also has less usable land than most of the other countries. For this reason, the nomadic lifestyle continues. It would be impossible to sustain your life in the land without the travel. The cities are well populated but there are few and they are spaced throughout the country. Gers (felt tent with wooden door) came into existence in Mongolia. They were among the first Buddhist temples in the country and moved along with their nomadic participants. Still Mongolian nomads live in a ger and move around. 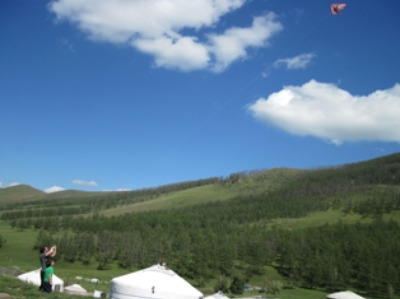 Many visitors enjoy the experience of staying in a ger camp when they are in Mongolia. Although the history is quite tumultuous, the current status is one of a welcoming country that will absorb you completely. It is fascinating to visit and a joy to investigate.